We are proud to present APEX new product Smart Lubrication System, suitable for all markets with applications in linear guide, Rack and Pinion, Ball screw. Please contact with us for more details and stock situation. The linear guideway rack can reduce parts space, deduct backlash, save assembling time and cost. The new PD serie added to our ISO Flange series keep going to be popular in market. We have already started to provide compact and high precision PD serie from our stock directly. PD serie which getting popular in market, was accompanied by a visual show at the booth of one of our world-wide known manufacturer in IFA 2017. In this special concept, designer had used 28 TV screens, which can be controlled by central software and which can play videos in a normal straight position whilst the screens are rotating. If you have made a choice, it’s time for the next step, mounting the pinion. There are obviously different ways to attach the pinion to the gearbox and each has its own advantages and disadvantages. The possibilities are extensive, below we give the pros and cons of each type of transmission in an overview. The last column shows the corresponding gearboxes of Apex Dynamics. The expansion makes it possible for Apex Dynamics customers to choose from 4 mounting options for these series: clamp, shrink, with key and involute. 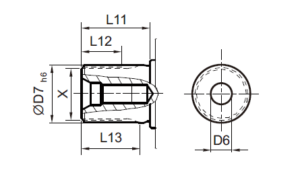 The choice of clamping between shaft and hub requires a much larger hub diameter. It’s easy, thanks to the j6 fitting, to shrink a hub on the shaft. But the hub is no longer demountable. This connection is usually applied but has three main disadvantages: there is always play (despite the h9 fit), the key often cannot transfer the maximum gearbox torque and the key is sensible to dynamic loads. 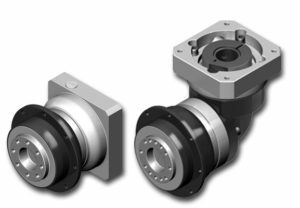 The hub remains small but can transmit very high torques with high dynamics, ideal solution for mounting for example a pinion for dynamic applications. For almost 50 years, Chambrelan has designed, developed and provided thousands of ball bearing slides and guidance rails for industry and for equipment manufacturers who have had to put into practice translatory guidance solutions. Vehicles, rolling stock market etc. 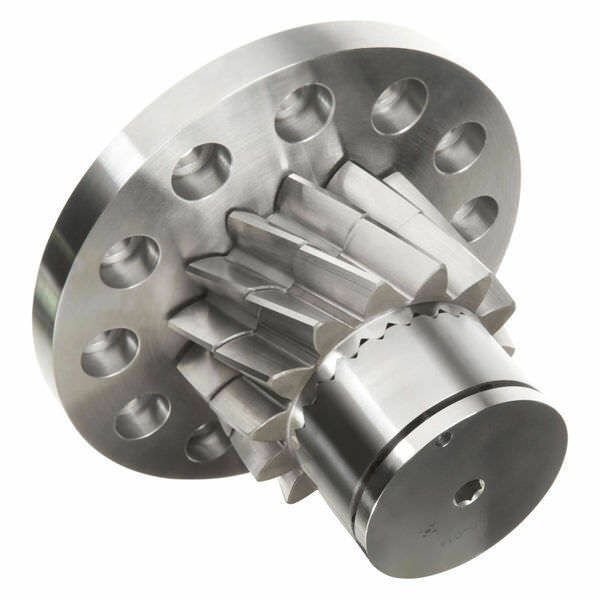 The Roller Pinion System (RPS) is based on an innovative pinion consisting of bearing-supported rollers and a unique tooth profile. 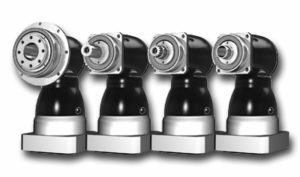 This unique drive system provides very high positional accuracy, near-zero backlash, virtually no cumulative error, low-velocity ripple, unlimited length, very high speeds, high rigidity, low noise, low maintenance, corrosion resistance, long life, and 99% efficiency. This opens up new machine design possibilities and provides the capability to achieve much higher levels of performance. RPS design eliminates many limitations of linear systems; noise level, vibration, service life, limited speed, low efficiency, low rigidity etc. Check out application examples and videos from our "ENDO Mechanic Equipments" product group. You can also reach NEXEN catalogues from here. 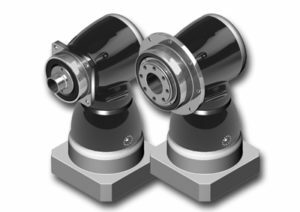 Besides the right-angle planetary and bevel gearboxes this is the 3rd form of right-angle gearboxes we can provide. 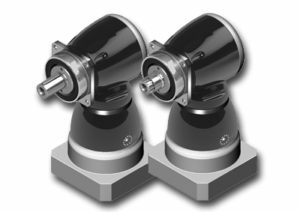 These are generally used for high-precision reductions in dynamic applications, for instance with a hollow-shaft design. With Hypoid gears the teeth are rolling over each other so that the output efficiency is high. For a single stage a 3: 1 up to 10: 1 reduction can be achieved. Due to the possible high dynamic input, an integrated motor shaft length compensation is integrated. 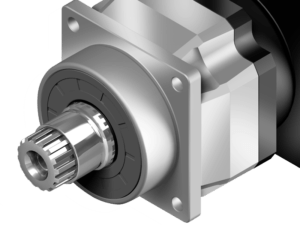 A special feature of this new series of hypoid gearboxes is that the rotation direction of the output shaft is the same as the rotation direction of the servomotor shaft. Most other brands rotate in the opposite direction. small diameter. For example: you can use very small pinions in a rack applications. Each type of gearbox is available in seven sizes, with ratio of 3, 4, 5, 7 and 10. A backlash of <3 arc minutes is default. Because of the over-dimensioned bearings the axial and radial forces can be very high. Typical applications for this type of gear applications are: automotive, robotics, and (silent) drives for attractions in amusement parks and chairlifts. Our Preloaded Double Pinion allows a backlash- and vibration-free rack drive. Thus, a higher position accuracy can be reached. A flange acc. 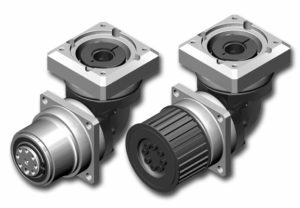 to ISO 9409-1 connects the Preloaded Double Pinion with PD or AD serie gearboxes of APEX. The Preloaded Double Pinion is available as either helical or straight teeth type. Two new series: the PD Serie with output flange (ISO 9409) and the PL Serie with output flange for timing belt applications! Applications: for direct mounting of swing or stroke discs, hub drives, pushers, etc. Applications: timing belt or tape drives, robotics, AGVs, etc. The PD and PDR series comes in frame sizes 053, 064, 090 and 110, the PL and PLR series comes in frame sizes 070, 090 and 120. Also, we can deliver Pulleys for the PL/PLR in both AT and HTD tooth profile, blackened and nickel finished. Both models are available in 16 ratios and fit to any servo- or stepper motor. With a backlash of <7 arcminutes this gearbox has the lowest backlash in the market of economy gearboxes. All gear and pulleys are selectable in our design tool and available immediately. With standard mono-block series, end-users could use just one drive unit. with the new ETS Serie of ESTUN, from 200W to 1KW customer able to use 3 servo motors with just one servo drive unit.